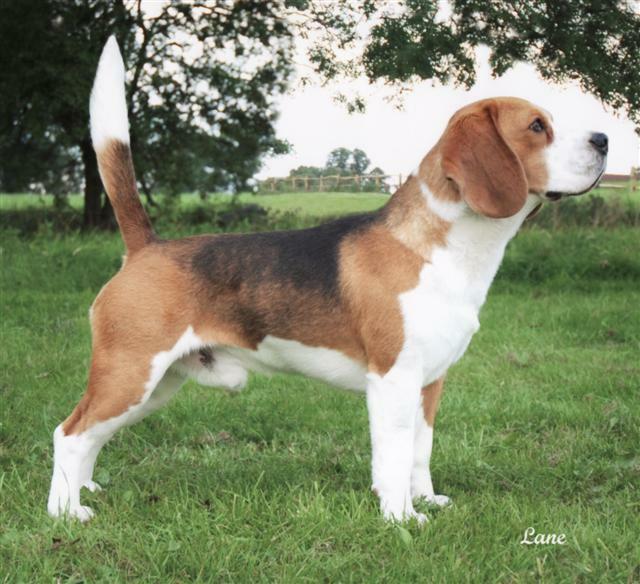 Runner Up Best In Specialty Show, Australian Champion Brialey Boy From OZ for Lanesend "Cody"
Cody is now owned by Miss Ann Phillips of Lanesend Beagles, UK. 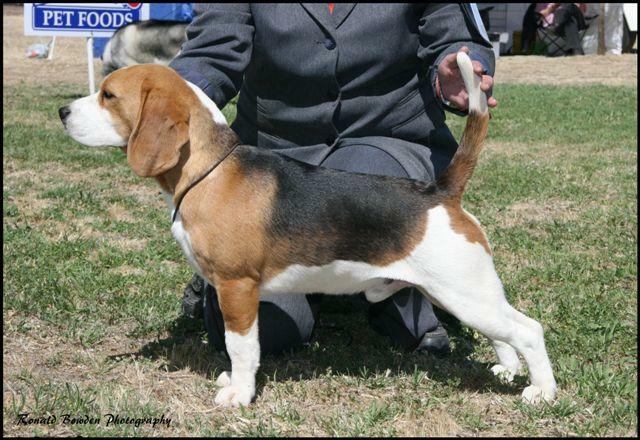 12th June 2006 Parkes & District Kennel Club Inc-Baby Puppy In Group, BABY PUPPY IN SHOW. 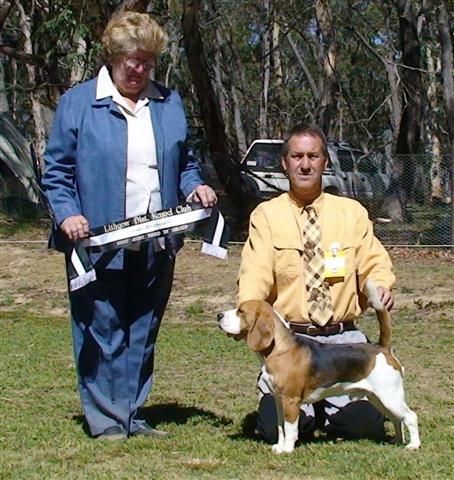 2nd September 2006- Beagle Club of South Australia- Reserve Dog Challenge, Puppy in Show, RUNNER UP BEST IN SHOW! 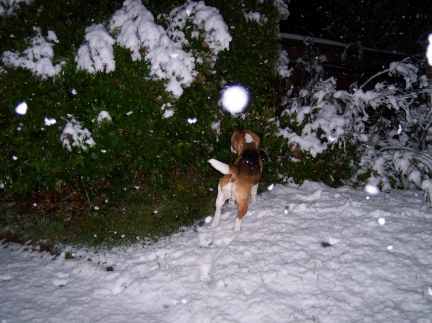 What is this white stuff? It's here somewhere! Cody now has his stud book number and as such is permanently qualified for Crufts. 2009 will see two of his puppies competing at Crufts also. 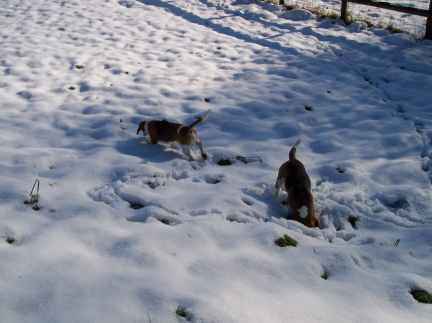 Cody and his mate Stoker in a white world.